Exceptional representation, when you need it most. We vigorously represent individuals and businesses who are under investigation or charged with a crime. 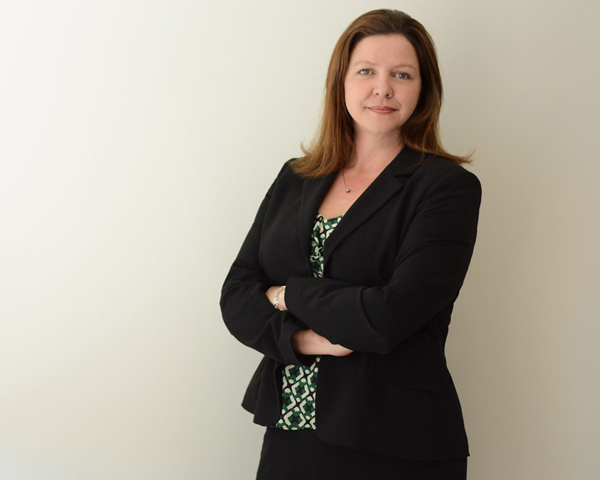 Amanda Touchton is an experienced trial attorney, whose practice focuses on federal and state criminal defense, healthcare law, internal investigations, compliance, representation of professionals in grand jury, regulatory and administrative proceedings, and criminal and civil forfeiture. Amanda is an accomplished trial lawyer who is not afraid of putting the prosecution to its burden and presenting her client’s case to the jury. Amanda has extensive experience representing doctors, lawyers, nurses and other licensed professionals and she understands the critical significance of achieving results that minimize the administrative and regulatory consequences of criminal charges and convictions. She is also experienced in negotiating and implementing corporate compliance agreements entered into in connection with the resolution of criminal investigations. Over the past decade, Melissa has successfully defended a wide-range of criminal matters for individuals and businesses. Melissa has handled everything from state court misdemeanors, to serious and violent felony cases, to large and complex federal white collar matters. In addition to the breadth of cases she has worked on, Melissa has a great depth of experience. She has worked on cases at the investigatory and grand jury phase, pre-trial, trial, post-conviction and on appeal. Melissa takes a holistic approach by understanding what is most important to her clients, meticulously investigating the facts, and always focusing on the outcome. Melissa’s sincerity, dedication to her clients, relentless advocacy and creative problem solving combine to make her an extraordinarily effective advocate. Sarah Kamenir is an associate at Touchton & Weinberger LLP whose practice focuses on state and federal criminal litigation and administrative proceedings. Sarah has handled a variety of matters including state court infractions and misdemeanors, restraining order hearings and petitions for post-conviction relief such as expungements and petitions to seal records. She has also worked on cases involving complex healthcare and insurance fraud, mail fraud, conspiracy, money laundering, grand theft, burglary and other matters. Sarah earned her juris doctorate from Loyola Law School where she received recognition as a Public Interest Law Scholar and graduated with Honors. She received her Bachelor of Arts from UC Berkeley in 2011, where she graduated on the Dean’s List. Our singular focus is on obtaining the best possible results for our clients. We carefully guard our clients’ confidences and vigorously protect their constitutional rights. We believe that our clients’ interests are best served through hard work, diligence and discretion. To counsel is to advise. We feel privileged that our clients turn to us in their time of need. In that regard, our goal is to ensure that we give our clients researched, well thought out, solid advice that forms the basis of the critical strategic decisions that face clients at every stage of the criminal process. Knowledge is power and we seek to empower our clients by keeping them informed. We believe that our job is to create options that our clients can choose from, and to help guide our clients to make the best decisions for their unique situation. We champion our clients both in and out of court. We are experienced trial attorneys, polished brief writers and skilled negotiators and we are always looking out for you, the client. We are unwaveringly ethical in dealing with our clients, opposing counsel and judges which has earned us reputations for integrity and excellence. We have helped a lot of people. We will help you, too. Client had strike priors and was charged with being a felon in possession of a firearm as well as possessing illegal narcotics. The District Attorney offered a 6 year state prison deal. Melissa wrote and argued a motion to suppress, which resulted in all the evidence being suppressed and the case dismissed. Client faced multiple federal felony charges of conspiracy and fraud. Amanda successfully represented client at trial and the client was acquitted on all counts. Client was charged with resisting arrest and Melissa handled the jury trial. After the government rested, Melissa made a motion to acquit before the judge. The motion was granted and the client was found not guilty. Attorney was charged with public drunkenness, resisting arrest and assaulting a peace officer. Amanda secured a complete dismissal of all charges. Former Los Angeles City Planning Commissioner was charged with conspiracy, bribery, mail and wire fraud in a multi-count, multi-defendant case. Melissa wrote a motion for severance which was granted. She then successfully negotiated a federal diversion (also called a Brooklyn Plan) which resulted in all charges being dismissed. Dentist faced multiple state felony charges for alleged billing fraud. Amanda represented the client at preliminary hearing. After Amanda wrote and argued a Penal Code section 995, the judge dismissed all charges. Physician was charged with federal misbranding offenses. After Melissa wrote motions to suppress and dismiss, including a motion to dismiss based on prosecutorial misconduct before the grand jury, the case was resolved with a federal diversion which resulted in all charges being dismissed. Amanda represented a nurse charged with three serious felonies; following motion practice Amanda secured a misdemeanor, no jail time plea. Client was arrested on charges of felony burglary. Amanda successfully negotiated a plea to an infraction. Client served no jail time, was not placed on probation and was responsible only for paying a small fine. Successful businessman was accused of domestic violence after an altercation with his wife. Melissa thoroughly investigated the case and then wrote a detailed letter to the District Attorney which convinced the prosecutor to dismiss the charges. A teacher faced allegation of sexual assault from a former student. After Amanda investigated the case and made an effective evidentiary presentation, the District Attorney’s Office declined to prosecute. Alleged head of international crime family was extradited to the United States and charged with RICO conspiracies and drug trafficking. Melissa wrote a motion arguing that the doctrines of dual criminality and specialty had been violated, resulting in multiple overt acts being stricken from the Indictment. A well respected, licensed investment advisor was charged with more than twenty misdemeanor charges relating to municipal code violations. Amanda negotiated a pre-plea disposition that resulted in all charges against her client being dismissed. Client was arrested for three felonies, including forgery and grand theft while in the process of applying for permanent residency. Amanda successfully negotiated a plea to a single, immigration friendly misdemeanor count with no jail time. Businessman was charged with money laundering in federal court in the Eastern District of New York. Melissa wrote a motion to transfer venue to the Central District of California which was granted. After the case was transferred, Melissa wrote a motion arguing that the law in the new jurisdiction precluded prosecution. The case was settled with a misdemeanor. Client was a Registered Dental Hygienist and successful business owner. The California Attorney General’s Office investigated client for fraud. Amanda investigated the case and made a thorough presentation to the Deputy Attorney General who declined to file any charges against Client. In post-conviction proceedings, after securing a hearing, Amanda successfully proved that the prosecutor had improperly used race as a basis to excuse potential jurors. The client’s conviction was overturned and he was released from state prison. Client was arrested for possession of a deadly weapon at the Los Angeles International Airport. Amanda successfully negotiated a plea to an infraction under the Los Angeles Municipal Code. Client was arrested and charged with domestic violence. Amanda successfully negotiated a plea to an infraction for disturbing the peace. Client was charged with a DUI. Amanda represented the client pre-trial and all charges were dismissed. We are located on the corner of Wilshire and Flower, in the heart of downtown Los Angeles.